Do not run more than one service to set the system clock’s time at the same time. 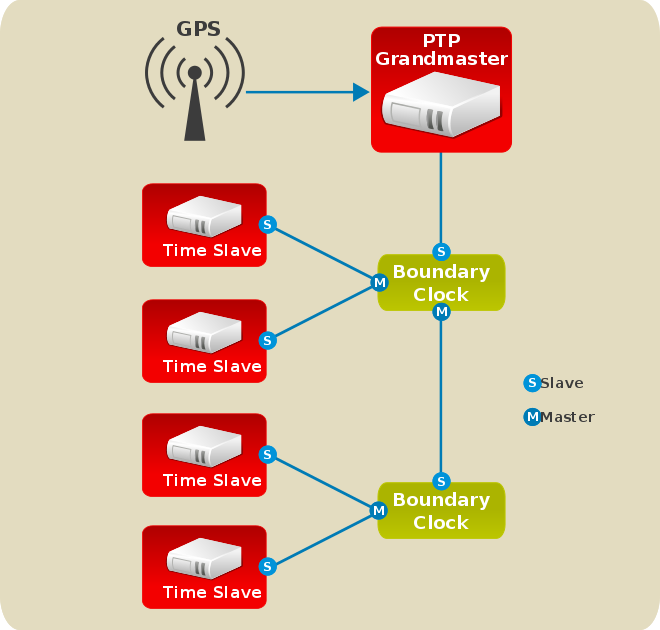 If you intend to serve PTP time using NTP, see Configuring_PTP_Using_ptp4l.adoc#sec-Serving_PTP_Time_with_NTP. The ptp4l program can be started from the command line or it can be started as a service. When running as a service, options are specified in the /etc/sysconfig/ptp4l file. Options required for use both by the service and on the command line should be specified in the /etc/ptp4l.conf file. The /etc/sysconfig/ptp4l file includes the -f /etc/ptp4l.conf command line option, which causes the ptp4l program to read the /etc/ptp4l.conf file and process the options it contains. The use of the /etc/ptp4l.conf is explained in Configuring_PTP_Using_ptp4l.adoc#sec-Specifying_a_Configuration_File. More information on the different ptp4l options and the configuration file settings can be found in the ptp4l(8) man page.